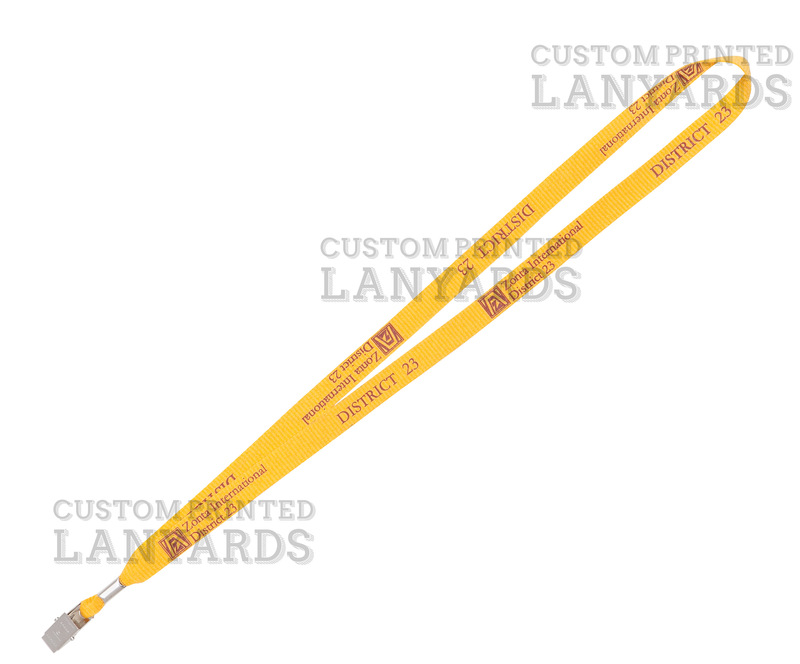 Promotional Lanyards can be personalised with custom printing and are made from flat woven polyester material. Thirteen standard colours means we have a custom lanyard to suit any corporate colour, or we can also colour dye for any orders of 1,000 or more lanyards at no additional cost to you. Prices listed includes a one of six free of charge lanyard attachments, or you can upgrade your lanyard attachments with cool items such as drink bottle holders or mobile phone holders. These promotional lanyards are ideal for prominent branding, especially for large conventions or conferences where security is an issue. These are one of our best selling lanyards. Note: Only one attachment free per order. Click to view hi-res image. Note: Click images to see more info about each printing technique. For pricing please call us on 01202 470006. Aside from the standard attachments available above you can view our entire collection of available lanyard attachments here.